WWD : Hey GRAZZE, - Thanks for sitting with us today ! Tell us, what does a studio day look like for you? Thank you guys, it´s a pleasure for me being interviewed by When We Dip. I work in the studio from Monday to Thursday or Friday, so I try to work on all creative things like arrangements, recordings, music production in the morning. It´s the best moment of the day for me, when I have a fresh mind and more ideas into the head. In the afternoon I prefer to work in other processes like mix, mastering, mailing, etc. WWD : What’s been on your to-do list this week? Well, I want to finish some projects because I will go on holidays for 2 weeks, so this week I will stay working hard in the studio on everything, specially on arrangements, mix and mastering on some collaborations and own tracks. I have to send some new demos too, so I will send them on this week and I’m preparing all promo with mi communication team for my next release on Tiger Records (Germany), that will be released on this month. This week will be a warm week (laughs). WWD : So recent productions have included your ‘Waves In The Night’ track on Glasgow Underground as well as your ‘Lost’ EP on Baroque Records. Have you got anything else in the pipeline that’s soon to be released that you can tell us about ? Yes! As I told you, I´m going to release an E.P. this month with 2 original tracks ‘Atlantic Solstice’ and ‘Emotion’ on Tiger Records (Germany). This E.P. includes amazing remixes by the artists Jeremy Bass, Rio Dela Duna and The Unique. “Atlantic Solstice” is for the House lovers with tasty percussions, organic sounds, warm basslines and summer feeling, while ‘Emotion’ has the same fresh sound with the beautiful and deeper voice of Vince Freeman. The remixes are very original and they share the same summer feeling as the originals so I think it is a really interesting E.P. for House lovers. On the other hand I have another exciting release on ARMADA in October. 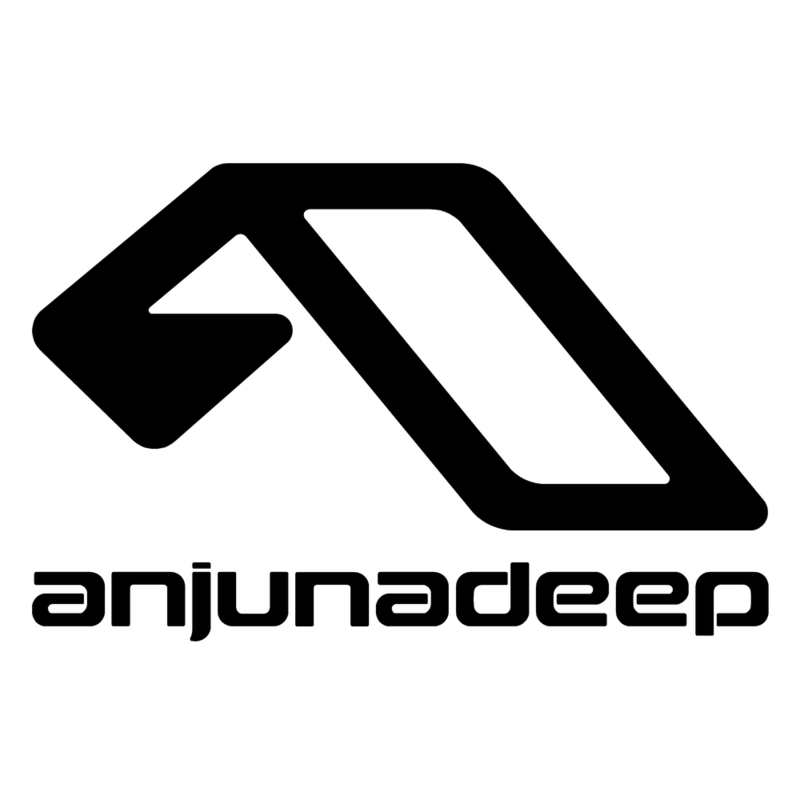 It will be my debut on this major label so I´m very happy and impatient to release it. We are working now with an amazing remixer too so I will make public all info on the next weeks. WWD : How would you best describe your DJ style? I think I´m a DJ focused on the feeling of the songs or on the feeling that these songs can transmit to the public. I don’t care about the styles of the songs, the most important for me is the quality, the feeling and how the tracks fits on the set… All DJ sets should be a new story to tell the listeners. I consider myself a House or Deep House DJ always close to progressive sounds, but I also use songs with details from other styles like Tech, Indie, Rock, Funk, Ambient, etc, on my sets. I think all details from different styles and influences included on my DJ sets and on my own produced tracks are one of my best identity signals. WWD : Current favorite track? Now I’m listening to amazing productions from artists like Jan Blomqvist, Lane 8, Elli & Fur, Eelke Kleijn… There is a song that caught my attention last week, the remix by Ben Bohmer of the Jan Blomqvist’s track ‘The Space In between’ because it is very emotive, but of course I´m still loving and listening to classic songs like ‘Chase The Sun’ from Planet Funk for example or artists from other styles like Crystal Fighters, Bob Moses or London Grammar. WWD : Who are some up and coming Spanish artists to look out for? I think we have in Spain really talented and unrecognized artists whose incredible potential is similar to artists’ from other countries that are recognized. I could name you a lot for example ‘Th3 Oth3r’ & Luke García (MoBlack, Ephemeral), Alvaro Ramos (Yin Yang, Pornographic) or Liv The Pilot, a young talented artist that is starting in the electronic scene who is now working with me in the studio for some upcoming surprises, and many others in the underground scene like Sosandlow, Hakk or Fran Zaragoza. WWD : What is the one piece of advice you give now to tell you from 5 years ago? Oh! Interesting question (laughs). Maybe I would said to myself ‘Try to focus on just one music style for your artistic projects’ because I love many music styles and 5 years ago I was producing music and playing DJ sets using the same aka for different music styles and now I think that it’s a mistake. I think it’s really good to get influences from many music styles but the main sound from an artist has to have some margins to create a well-defined path, specially for growing artists. WWD : You’re also a mixing/mastering engineer and you own a professional recordings studio right ? Yes, we are working on many music for other artists too. My partner Edgar VM and me founded ‘We Are Sound Studios’ (www.wearesoundstudios.com) 2 years ago and we are still working in all music processes like arrangements, music production, recordings, mixing, mastering for other national and international artists, music labels, radio stations, etc. WWD : Does your work as a sound engineer influence the production of your own personal music ? Of course! I can’t produce a track without thinking on the mix. I always do all mixes of my own tracks and masterings too and this is better for me because while I’m playing a guitar riff or producing a melody I like to work in some mix concepts too, like Stereo spread, filters compressors, etc, because I know how I want the final sound to work. Sometimes in masters I like to know a second opinion and my partner Edgar works with me. WWD : Are you able to tell some of your secret weapons when producing at the studio and what is your favorite synth? No, I’m glad to talk about all my ideas and concepts and I love to interchange techniques and tricks with other producers and engineers because is the only way to learn and grow. For example, one of my weapons in production and mixing is to emphasize the work between the Kick, bassline and Hi Hat. I think this is the key to get a really powerfull and clear-cut master at the end on electronic tracks. You need a perfect balance between these 3 elements along the mix process and you can do it using plugins like Filters (I prefer Sonalksis), Compressors (Cytomic The Glue is perfect to control Kick and bass) and exciters (I used to work with Izotope Ozone or Waves 9.0 vintage exciters). About your second question, my current favourite synths are Spectrasonic Omnisphere, I felt in love with them, or the new Logic Synth, Alchemy has really interesting sounds. WWD : Apart from music, what makes you happiest? I think the most important things like times with my family or friends. 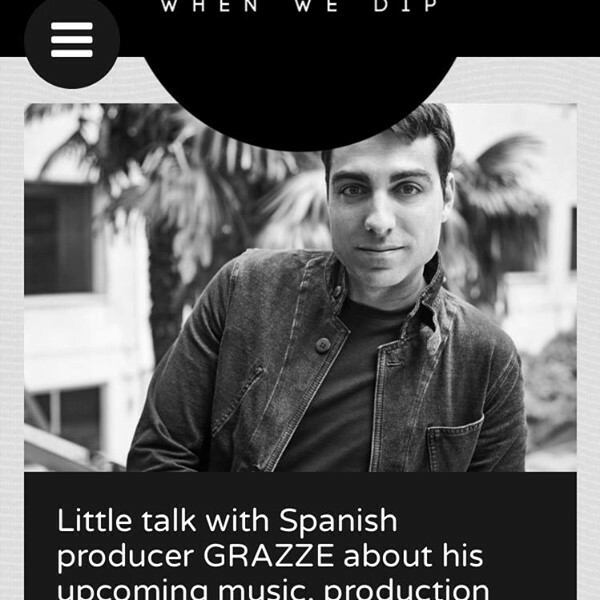 WWD : Cheers for speaking to us today GRAZZE ! Thanks you very much for your interest and kindness!